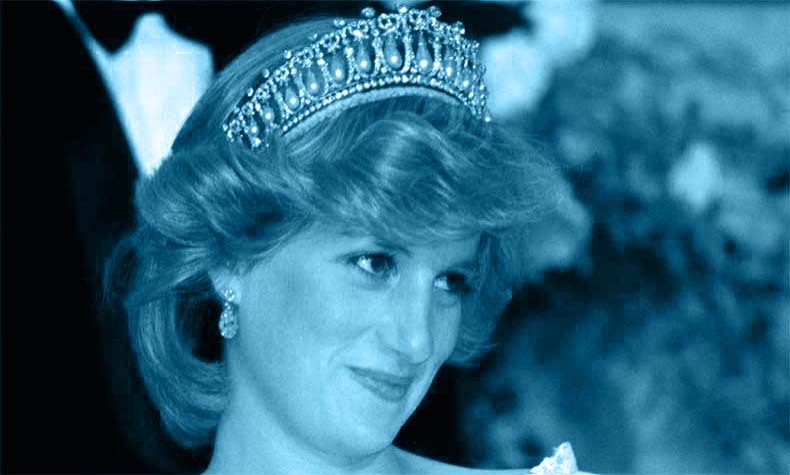 So… what do we know about Diana? Queen and huntress, chaste and fair (Ben Jonson). I imagine that’s a different Diana? @Graeme – your ideas intrigue me, and I wish to subscribe to your newsletter. As the genius those early songs came over the radio from the Peel sessions in late ’85 and early ’86, nearly every line drew us more and more to this band. Everything said plenty to us about our lives, from the subbuteo to the Lev Yashin poster to the dodgy fallopian to the wheels of nihilsm to being mocked in my mocks to writing on sole of the slipper with a biro, but the anti-royalism struck a particular chord, with both this line and the Sarah Ferguson one. It seems really appropriate that the first release on Skeleton’s short-lived Half Man Half Biscuit label featured some anti-royal wedding satire in its lyrics and on its collagey cover, which displayed images of the nauseating bashfulness itself (see post 171 in the media thread). I think I was sick on the A552 on that royal wedding night after a very messy session seeing of a mate who was leaving town on the midnight tide. Who knows, possibly the last person to ever set off on a round-the-world journey from Birkenhead docks. The main reason I still buy every edition of Viz, even if it is not as funny as it used to be, is lingering gratitude for their refusal to bow to Diana mania in 1997 – they were in the midst of a photo story called Princess Of Tarts and they just carried on with it. It sounds trivial now, but at the time (for most, just pre-internet) it was the only sign that not everyone had gone completely effing mad. @LES .I was with you.I recall utter bewilderment and relative isolation for several weeks. I remember commentators asking whether the popular descent into atavistic displays of mass emotion meant that Britain was evolving into something new and different. And who could forget that mad incoherent rant by Earl Spencer? Frightening. Fortunately, most of my colleagues were at least as cynical as I am. Her brother-in-law once told me to my face at college how much The Firm despised her and made constant jokes among themselves about how thick she was. It was ironic that he should tell me this because I had been one of the instigators of a petition against him getting into our college in the first place (I don’t think he knew that) on the grounds that essentially he didn’t have the results so was just getting in ‘cos of who he was. One of the few good things about that period was that for a while ‘the public’ disliked the rest of them a bit more. @@Blood On Chapel Court, good one coming from him! But hey, give him credit, he got a Desmond. Somehow. That tower has a useful (if somewhat restricted) field of fire. I remember that all the football were off so I went fishing. A more likely theory is that, given the number of flowers thrown at her hearse during the funeral, Diana was murdered by florists who wanted to boost sales. I was also bewildered by the response to her death. That morning a mate of mine phoned and said “Have you heard about Diana?” I hadn’t, so he filled me in. At the end of the call he asked what I was up to that day, so I said “well I’ll be off to Anfield later for the Newcastle game.” And he said “Do you think it will still be on?” Confused, I asked him why it wouldn’t be. “Because of Diana.” It never occurred to me that they would cancel a Liverpool game because of a former royal having a car accident. But they did. As an aside, my daughters used to be competitive swimmers and so spent much time perusing swimsuit catalogues. The Italian sportswear company “Diana” had, rather unfortunately, named one of their swimsuits the “Fatality”. I’m not sure how many people in England would have bought a Diana Fatality swimsuit.